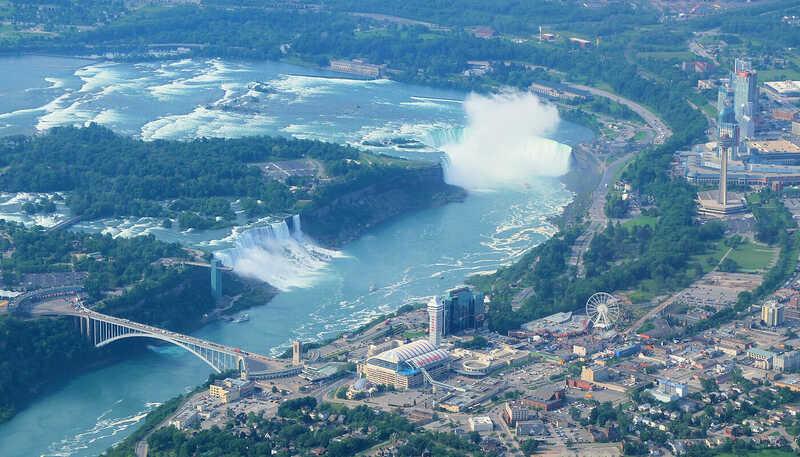 On this New York to Niagara Falls by private plane day trip, you’ll enjoy all possible comforts. Niagara Falls is relatively close to New York. 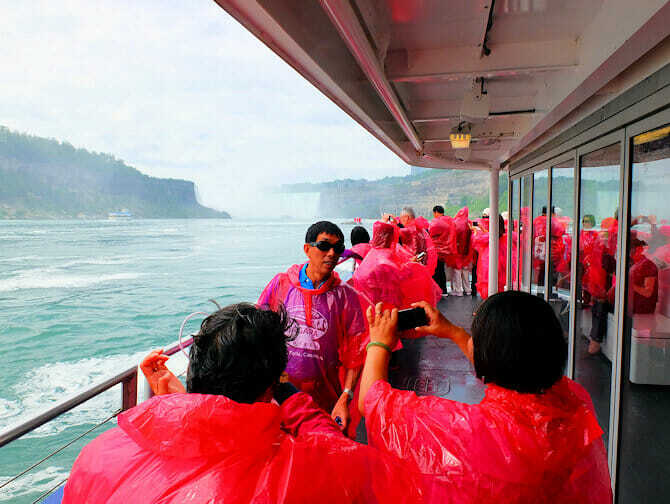 Book this tour if you would like to visit Niagara Falls on an organised tour. This tour is available from May through October. Your day starts at 05:45 at Times Square, when a luxury coach takes you to Long Island airport. 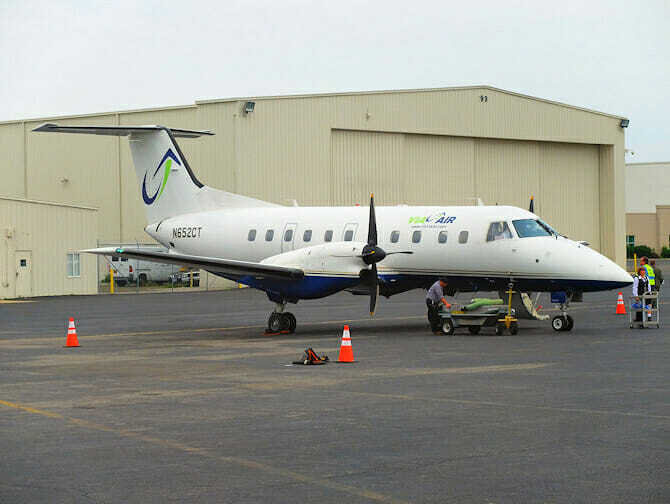 Your flight departs from Long Island MacArthur Airport. The coach drops you right in front of the plane, so no hassle with customs or checks at the airport. With a maximum of 30 other people you’ll fly over the state of New York. During the flight, you’ll be served an authentic New York breakfast by your stewardess. 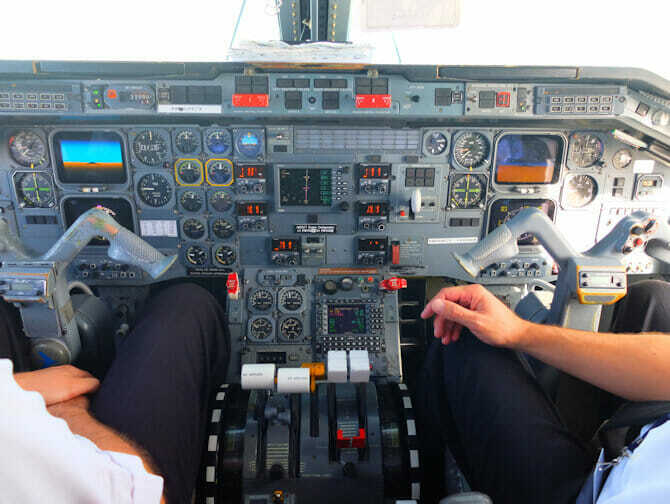 You might get the chance to visit the cockpit for a chat with the pilot and a couple of photos. The pilots will also ask for permission to fly over the falls. If you’re lucky, you’ll be able to see the waterfalls from above, before you land at Niagara Falls Airport. The moment you get off the plane, a bus will be ready to drive you to your final destination. Note! Before you go on this tour, it’s important to make sure you have the correct documentation to enter Canada. Do you have a British passport? Then there is no need to apply for a visa. Since you’ll be landing on the American side of the border and a bus will take you to the Canadian side, you’re not required to obtain an eTA for Canada. When booking, due to TSA policies, all passengers must provide passport name, number and expiration date, date of birth as well as contact details for residence at the New York hotel.